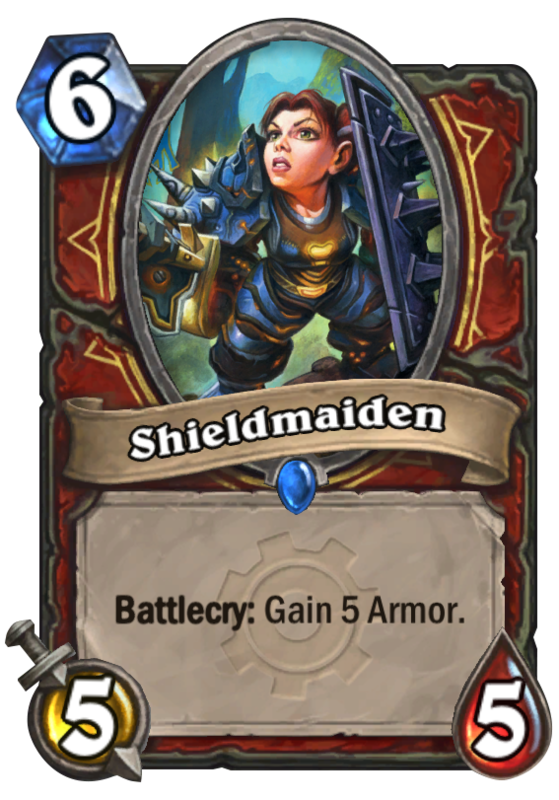 Shieldmaiden is a 6 Mana Cost Rare Warrior Minion card from the Goblins vs. Gnomes set! 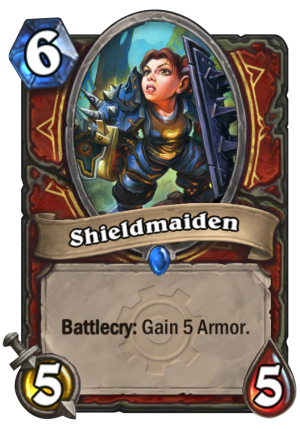 She has three shieldbearers in her party to supply her with back ups when she gets low on durability. Rating: 4.6/5. From 61 votes.